The Luminaries has the Temple of the Sun and the Shrine of the Moon, players could Defend the Temple of the Sun at every Monday, Wednesday and Friday and the Shrine of the Moon opens every Tuesday, Thursday and Saturday. Before players challenge The Luminaries, players start level will be determined by player’s average BR, so don’t worry, come to challenge the Luminaries and collect the Companions Shard! When players collect enough Companions Shard in the Luminaries or consume your Companion Coin in Luminaries Shop to get enough Companions Shard, players could combine to different Companions， which could increase massive BR! In the Luminaries Players could get Luminary Coin which could consume in the Luminaries Shop. In addition, Companions EXP Scroll I could be collected when players challenge the Luminaries. Moreover, on every Monday, Wednesday and Friday players could collect Companion Augment Pill and collect Companion Refine Stone I on every Tuesday, Thursday and Saturday. Snow Leopard could be got via Tutorial Quest. What’s more, login for 7 days, players could get 7 different chests to win massive rewards. 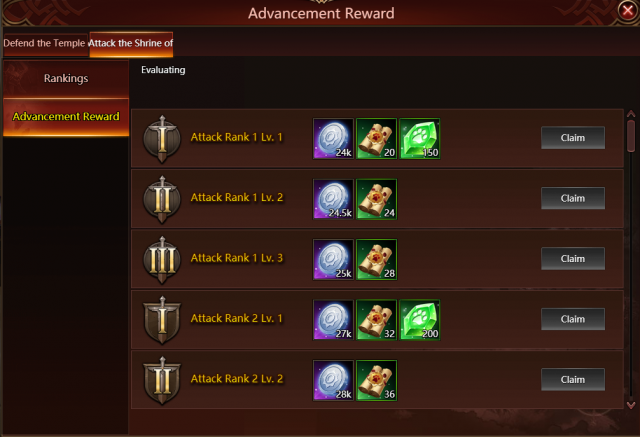 Also, when players challenge the Luminaries successfully, players could claim a large amount of rewards in Advancement Reward. Come to get the top rank rate and show your BR in Rankings! In the Luminaries, players could get FOUR kinds of Companions shard to combine Companions. They are Snow Leopard, Astral Stag, Two-Tailed Fox and Lava Golem. 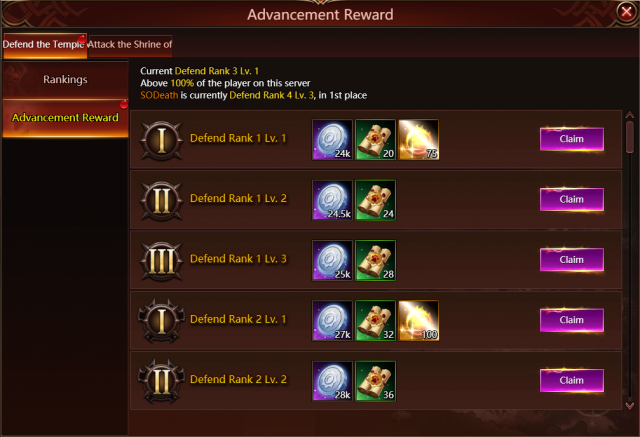 Players could get Companions Shard by challenging the Luminaries，directly purchase them in the Luminaries Shop and in the upcoming Events. How to increase your Companions BR? Plays could use four different Companion EXP Scroll (I-IV) to level up Companions, it could increase Companions’ HP, ATK and DEF. Companion Augment Pill could be used to Augment Companions, which could upgrade Companions’ skills. In addition, four kinds of Companions Refine Stone (I-IV) could be used to increase Companions Advanced when they reach 1-Star (Only the stats of deployed Companions are in effect). Moreover, when players gain more than two Companions, players could unlock two Companions and get an Alliance in Gallery, which could increase massive HP and DEF. Also, Companions could protect your Hero, and grant a percentage of their stats to the Hero they are protecting. When you get more than two Companions, don’t forget to make an Alliance that you could get a bonus BR in Gallery. Also choose an appropriate support companion and deployed companion to show your strategy!